yes, it would be of great help if you could confirm if others are experiencing the same problem with this particular game. thanks! YAY, this version works perfectly. Game directory selected: left4dead2_dlc1. Tested, working fine 100%. Will see if i can find someone using HLDJ and L4D2, so far, not lucky with the interrogatory xD. That would be extremely helpful, I haven't heard much news other than yours on the L4D2 DLC front. And thanks for helping to diagnose this problem, I would have never known otherwise. I'm going to sticky this for a while in case others come in with the same problem. Nah, thanks to you, for the program itself and the help. I'm having this same problem with the 1.6.0 alpha. The version posted in this thread works fine, but 1.6.0 doesn't work at all. I'm guessing this is a regression? I still haven't enough information to confirm if this is affecting everyone with the L4D2 DLC, so I did not include the fix in the regular build. Later today I will put out a special 1.6.0 build that has the fix in this thread. It would be very helpful for anyone with the DLC to confirm if they and those they play with also experience the same problem. Later i'm gonna try that version and send you the feedback. Edit: Tested, the 64bits version, 1.6 with the fix for L4D2 DLC, working perfect! and also when i go on my wcs server it doesnt play music i just hear myself but when i go to like my minigames and deathrun servers it works just fine on css. I'm using the new windows 7 and i downloaded and installed hldj like 6 times already different versions too and it just won't work can you please help? Hi. I've used hldj quite some time ago in left 4 dead and left 4 dead 2 before passing dlc... Now i downloaded it again, and it's not working in L4D2. So i saw link to this topic in downloads section and went through it twice... and it's still not working in L4D2. I'm not that good with how exactly this works, but maybe new dlc's are messing up something. Oh, and with l4d1 hldj still works like a charm. It's possible, but for that reason there's an HLDJ version that works around this, have you tried it (l4d2 workaround)? I don't own the game, but from reports it seems the dlc updates use the game's base folder "left4dead2" to look for the voice_input.wav audio file, but use the actual game folder ("left4dead_dlc#") to load the config files from. So you should use the workaround, add the game corresponding to the "left4dead_dlc#" (you'll know that you have the right one if the proper game starts and you see the HLDJ commands), and the workaround should create voice_input.wav in the base "left4dead2" folder. Yes. i tried with l4d2 workaround version. But nevermind that now. Sorry, it was my fault apparently. I forgot i got .vpk addon with autoexec.cfg in it that was overriding autoexec.cfg from game directory, and apparently it was messing up hldj in some way. I removed the addon, and started the game and hldj now showed up in console. Tried it in singleplayer so far and looks like it works normally. 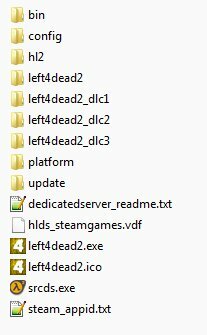 But i am surprised it works even that i set the game directory in hldj to lef4dead2 not that with "_dlcx"... and that other two dlc directories didn't had cfg directories in them by the way. I'm gonna do some testing online on different campaigns and post again if something'll come up. Big thanks for quick reply. Using the L4d2 folder as my game directory, Everything loads up like it should, including HLDJ, but no sound is played. The list of audio files load up just fine using the La command, but no audio is heard when i select and play a file. The icon does appear that im using my mic, just no sound from hldj. I don't actually expect this to get fixed before I lose interest, but just wanted it to be known there are still problems. either way, it was a fun program while it lasted, thanks. Guys, when you do everything correct, but when you open the console in l4d2 and type in "la" and it says unknown command then you have to go to the l4d2 add on folder and delete all your add ons(or move the elsewhere). Maybe its just one add on that messes it up, but not sure so I moved all of them. And it worked. Also make sure you only have 1 hldj running at once. Sometimes I would have 4 hldj running at once and was messing up.